Why do I see a "'midasglobal' appears corrupt" error? "midasglobal" is a settings file that is required in order for your MIDAS room booking to function correctly. If the size of the "midasglobal.dat" file within your MIDAS installation on your server is zero bytes in length, a probable cause is that there is no free space remaining on your server disk. MIDAS regularly updates the midasglobal settings file during normal usage of your software, and therefore, if there is no free space remaining on your server disk when this file is updated, it can lead to the file being truncated or "zeroed". To resolve, you will need to locate and address the cause of the zero free disc space on your server. You will then need to restore the most recent "good" copy of the midasglobal.dat file from your server backups. If you do not have access to a recent "good" copy of your midasglobal.dat file, you will need to contact MIDAS support for further assistance. As MIDAS regularly updates the midasglobal settings file during normal usage of your scheduling system, if your server hangs, crashes or is unsafely shutdown during a routine write operation on this file, the file may become corrupt. To resolve, you will need to restore the most recent "good" copy of the midasglobal.dat file from your server backups. 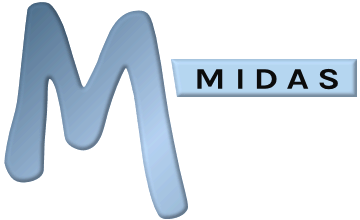 If you do not have access to a recent "good" copy of your midasglobal.dat file, you will need to contact MIDAS support for further assistance.